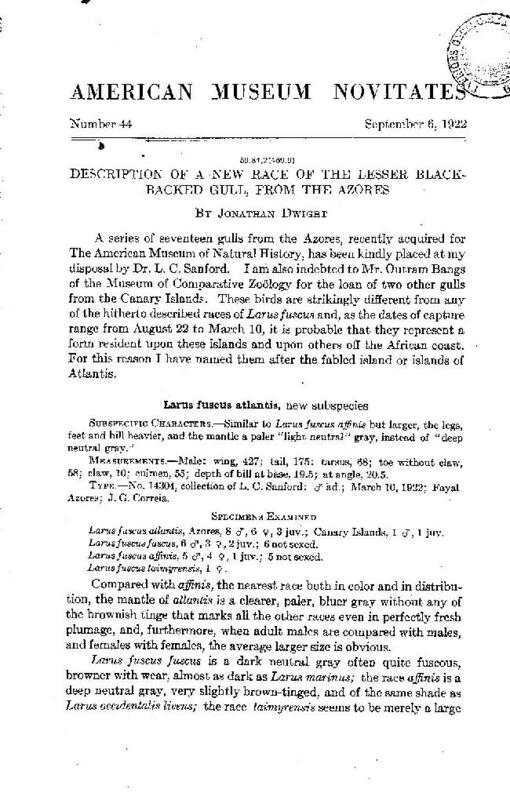 Dwight, J, (1922), Description of a new race of the Lesser Black-backed Gull, from the Azores, Am. Mus. Novitates, 44: 1-2. 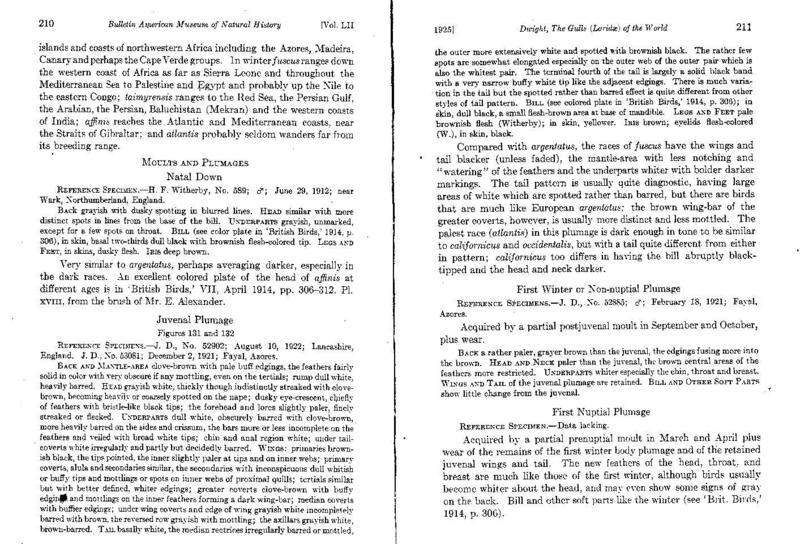 Dwight, J, (1925), The Gulls (Laridae) of the World: their Plumages, Moults, Variations, Relationships and Distribution, Bull. Amer. Mus. Nat. Hist. 52: 63-401. 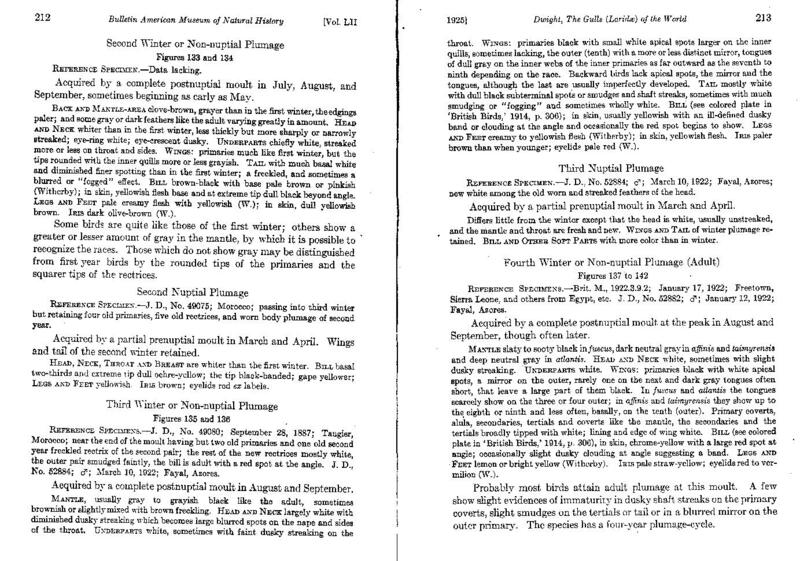 > the birds breeding in the Azores, as Dwight originally did"
Except Dwight did not do this, Richard. 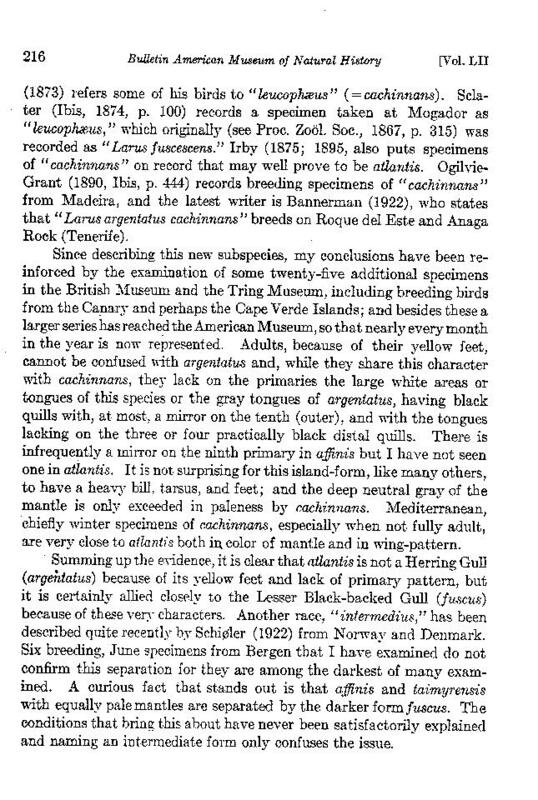 Dwight in his 1922 paper Description of a New Race of the LBBG from the Azores, Amer Mus Novitates no. 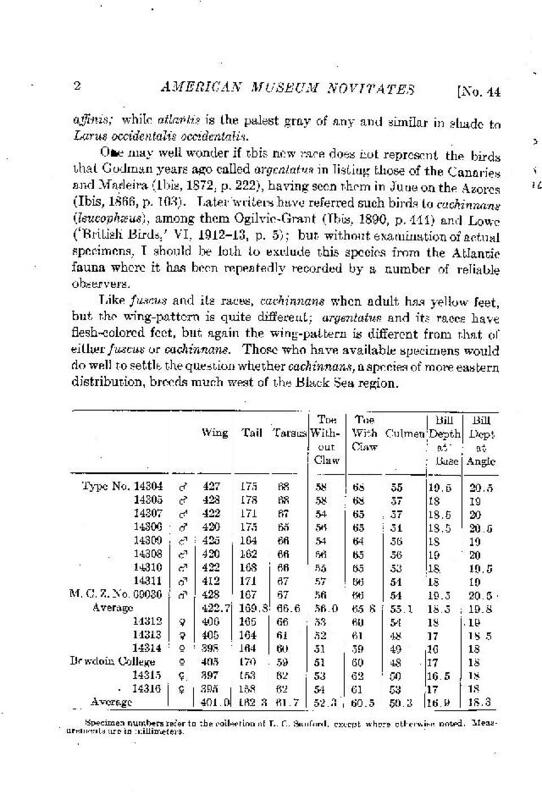 44 includes two specimens from the Canaries in his original atlantis specimens. atlantis [which he called above the Azorean Lesser Black-backed Gull] is resident on the islands and coasts of northwestern Africa including the Azores, Madeira, Canary and perhaps the Cape Verde Islands. 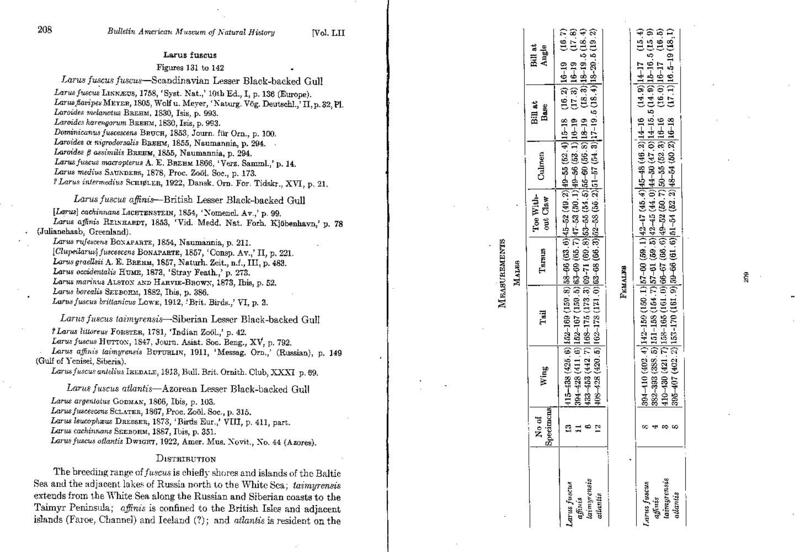 Jonsson, L, (1998), Yellow-legged Gulls and Yellow-legged Herring Gulls in the Baltic, Alula 4(3): 74-100. 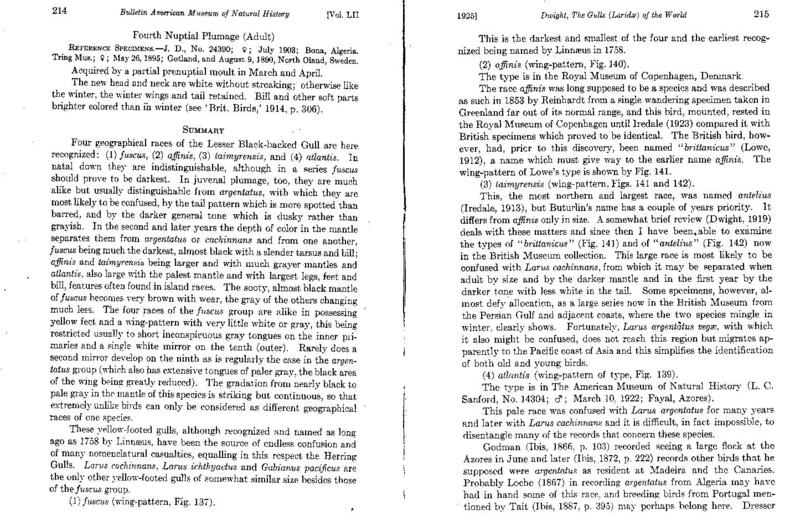 Yésou, P, (2002), Trends in Systematics, Systematics of Larus argentatus-cachinnans-fuscus Complex Revisited, Dutch Birding 24(5) 271-298.